This is how it must feel if you were to walk into a cloud. White and fluffy. A little more than nothing and very light. You dive in and start to float. At first glance it is difficult to discern the material properties of these ethereal volumes. Feathers, flakes of foam, snow crystals, not to mention some kind of high-tech fiber - it could be many things. What seems to come from another world consists of millions of perfectly ordinary paper tissues. 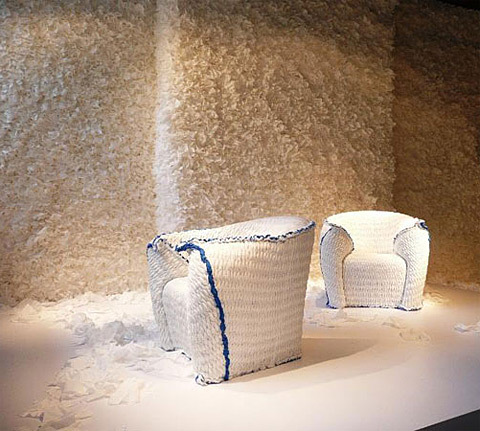 Puzzled, we sink into a soft armchair, which is the only piece of "furniture" we come across in the sublime edifice.Japanese designer Tokujin Yoshioka created both. 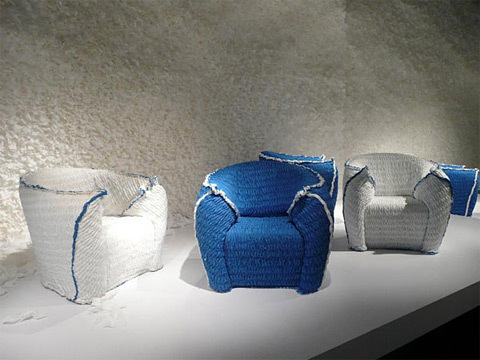 This year, he produced two of his surreal worlds for the Italian furniture manufacturer Moroso, known for its extraordinary upholstered furniture; most recently for the company's New York showroom and before that at the Milan furniture fair. There were no tissues there however, but instead transparent plastic straws.And the armchair too, which we have just sunk into, is based on the conversion of such an industrial product: Its filling consists of a packaging material for precision instruments and flexibly molds to the shape of the human body. In turn, the rhombus-shaped, quilted surface looks as though someone has just taken off their thermal jumper so that it is inside out. 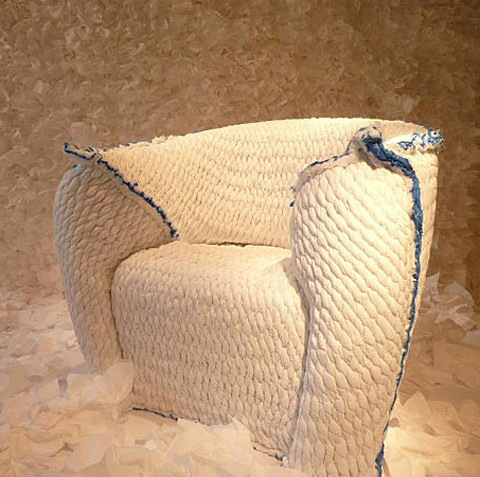 The creative and innovative company Moroso was happy to help with the production of the "Panna Chair", whereby the association with an Italian cake rising in the oven is thoroughly deliberate.Tokujin combines materials and shapes in such an unconventional way that he repeatedly breaks new ground in design with his projects. 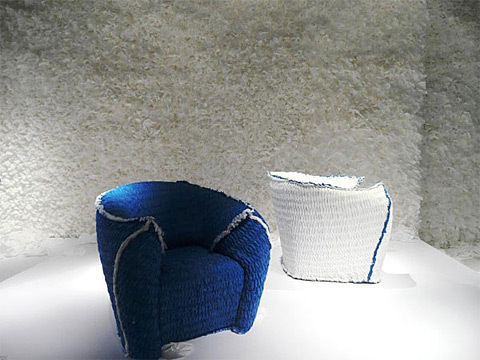 His creations exhibit that great sensitivity in handling textures which is typical of Japanese design. Yet Tokujin does not want anything to do with traditional production methods. He is fascinated by the flexibility of artificial materials and the permanently revolutionizing production processes.